Below are all of the action hooks currently available where you can position a content block. These hooks are broken into five categories: Document Head Hooks, Structural Hooks, Loop Hooks, Comments Hooks, and WordPress Core Hooks. A fantastic reference for visualizing these hooks is the Genesis Visual Hook Guide. genesis_title This hook executes between tags and outputs the doctitle. You can find all doctitle related code in /lib/structure/header.php. genesis_before This hook executes immediately after the opening tag in the document source. genesis_before_header This hook executes immediately before the header (outside the #header div). 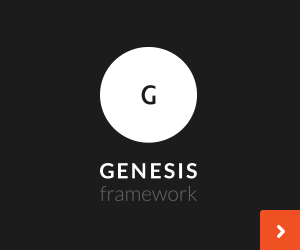 genesis_header By default, this hook outputs the header code, including the title, description, and widget area (if necessary). genesis_header_right This hook executes immediately before the Header Right widget area inside div.widget-area. genesis_after_header This hook executes immediately after the header (outside the #header div). genesis_site_title This hook executes immediately after the opening tag in the document source. genesis_site_description This hook executes immediately before the closing tag in the document source. genesis_before_content_sidebar_wrap This hook executes immediately before the div block that wraps the content and the primary sidebar (outside the #content-sidebar-wrap div). genesis_after_content_sidebar_wrap This hook executes immediately after the div block that wraps the content and the primary sidebar (outside the #content-sidebar-wrap div). genesis_before_content This hook executes immediately before the content column (outside the #content div). genesis_after_content This hook executes immediately after the content column (outside the #content div). genesis_before_sidebar This hook executes immediately before the primary sidebar column. genesis_sidebar This hook outputs the content of the primary sidebar, including the widget area output. genesis_after_sidebar This hook executes immediately after the primary sidebar column. genesis_before_sidebar_widget_area This hook executes immediately before the primary sidebar widget area (inside the #sidebar div). genesis_after_sidebar_widget_area This hook executes immediately after the primary sidebar widget area (inside the #sidebar div). genesis_before_sidebar_alt This hook executes immediately before the alternate sidebar column. genesis_sidebar_alt This hook outputs the content of the secondary sidebar, including the widget area output. genesis_after_sidebar_alt This hook executes immediately after the alternate sidebar column. genesis_before_sidebar_alt_widget_area This hook executes immediately before the alternate sidebar widget area (inside the #sidebar-alt div). genesis_after_sidebar_alt_widget_area This hook executes immediately after the alternate sidebar widget area (inside the #sidebar-alt div). genesis_before_footer This hook executes immediately before the footer, outside the #footer div. genesis_footer This hook, by default, outputs the content of the footer, including the #footer div wrapper. genesis_after_footer This hook executes immediately after the footer, outside the #footer div. genesis_after This hook executes immediately before the closing tag in the document source. genesis_before_loop This hook executes immediately before all loop blocks. Therefore, this hook falls outside the loop, and cannot execute functions that require loop template tags or variables. genesis_loop This hook outputs the actual loop. See lib/structure/loop.php and lib/structure/post.php for more details. genesis_after_loop This hook executes immediately after all loop blocks. Therefore, this hook falls outside the loop, and cannot execute functions that require loop template tags or variables. genesis_after_endwhile This hook executes after the endwhile; statement in all loop blocks. genesis_loop_else This hook executes after the else : statement in all loop blocks. genesis_before_entry This hook executes before each entry in all loop blocks (outside the post_class() container). genesis_entry_header This hook executes before the entry content and generates the entry header content in all loop blocks. genesis_before_entry_content This hook executes before the .entry-content container in all loop blocks. genesis_entry_content This hook executes within the .entry-content container in all loop blocks. genesis_after_entry_content This hook executes after the .entry-content container in all loop blocks. genesis_entry_footer This hook executes after the entry content and generates the entry footer content in all loop blocks. genesis_after_entry This hook executes after each entry in all loop blocks (outside the post_class() container). genesis_before_comments This hook executes immediately before the comments block (outside the #comments div). genesis_comments This hook outputs the entire comments block, including the section title. It also executes the genesis_list_comments hook, which outputs the comment list. genesis_list_comments This hook executes inside the comments block, inside the .comment-list OL. By default, it outputs a list of comments associated with a post via the genesis_default_list_comments() function. genesis_after_comments This hook executes immediately after the comments block (outside the #comments div). genesis_before_pings This hook executes immediately before the pings block (outside the #pings div). genesis_pings This hook outputs the entire pings block, including the section title. It also executes the genesis_list_pings hook, which outputs the ping list. genesis_list_pings This hook executes inside the pings block, inside the .ping-list OL. By default, it outputs a list of pings associated with a post via the genesis_default_list_pings() function. genesis_after_pings This hook executes immediately after the pings block (outside the #pings div). genesis_before_comment This hook executes before the output of each individual comment (author, meta, comment text). genesis_after_comment This hook executes after the output of each individual comment (author, meta, comment text). genesis_before_comment_form This hook executes immediately before the comment form, outside the #respond div. genesis_comment_form This hook outputs the actual comment form, including the #respond div wrapper. genesis_after_comment_form This hook executes immediately after the comment form, outside the #respond div. wp_head This hook executes within the section of the document source. wp_footer This hook executes near the tag of the document source.